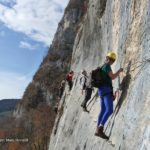 The first generation of Via Ferrata began in the Dachstein alps of Austria in 1843 with the first equipment installed on the normal route on the Hocher Daschein. This was equipped by Friedrich Simony. 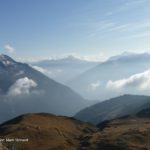 In 1869 it was the turn of Studli on the arete linking the two easy summits of the Grossglockner, the highest summit in Austria. 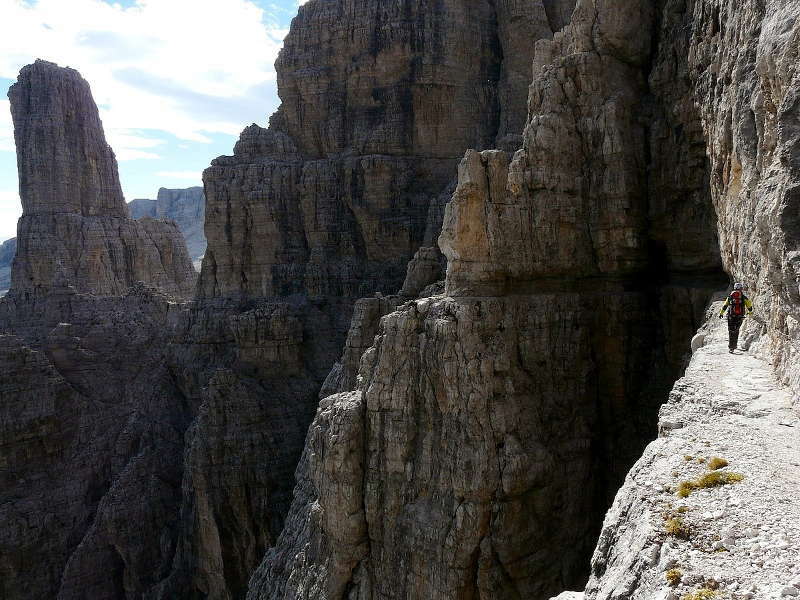 Via Ferrata were born in the Dolomites in Italy during World War I (1914 – 1918). They were constructed to help get men and equipment into strategic positions in the mountains. These via ferrata are now used for tourist purposes and maintained by the local communes and volunteers. 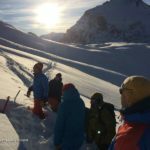 The local Alpine clubs equipped them with more equipment making them accessible to more than just pure mountaineers. In the 1930’s and then again after World War II the Italian Alpine Club with the Societa Alpinista Trentina began to improve certain via ferrata in the Brenta Dolomites. They equipped them with steel cables, iron bars in order to make the access to some summits easier. 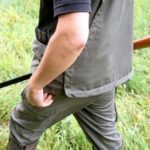 One of them, the “Via de la Bochette” became very popular. This route was equipped with a certain ethical standard in that only the parts with no or little holds were equipped. From the 1950’s up until the 1980’s became more and more popular under the name “Via Ferrata” as an activity in its own right. From the 1990’s the popularity of “via ferrata” boomed and they were soon to be found in France and Switzerland. Some of the routes became more and more sporting. More spectacular sections, overhangs and monkey bridges of wire cable. Via ferrata became very much an activity in its own right. The first via ferrata in France appeared in 1988 in the Haute Alpes. The first route bearing this name appeared in the valley of Fresissiniere. A short time later another appeared in the nearby valley of Vigneaux that sees up to 15,000 people complete it each year. Shortly after the alpine valleys behind the coast at Nice followed the lead. 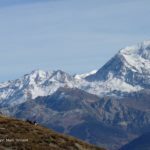 Now there are more than 150 throughout the Alps including the mountain ranges bordering the Tarentaise, the Maurienne, the Bauges, l’Isere, l’Oisans, the Pyrenees, the Loire, l’Auvergne and Corsica. One of the reasons for the growth in via ferrata in France is the desire of the ski resorts to diversify. Once the winter snows have gone the resorts are always trying to offer more opportunities for families and those looking for more adventures. The via ferrata come in all forms. Some routes make enormous use of a variety of ironmongery to allow progression whilst others just use man-made holds when there are not sufficient natural holds. Of course there’s always the presence of the steel cable for security! Occasionally you will come across “Via Cordata”. These are routes equipped with intermediate anchors for the rope but no other equipment for progress. The equipment for via ferrata has developed over the years. Salewa developed one of the first karabiners designed for via ferrata and a shock absorbing system based on the rope being able to slip under load to absorb the shock. In France the company Petzl are probably the leaders for innovation. 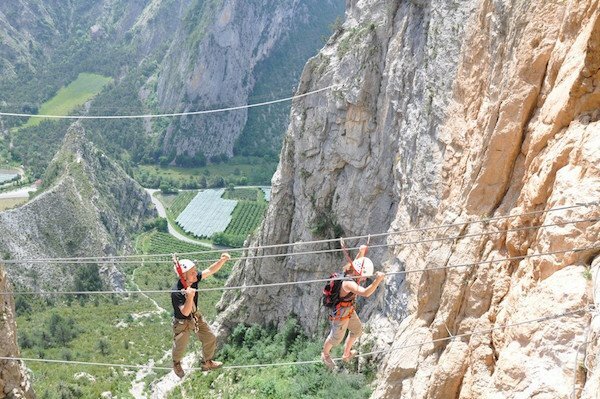 The via ferrata in France are regularly inspected and maintained. The company Prisme has probably put up the most in France and Switzerland.